Black students relate to black teachers. White students relate to white teachers. It’s just human nature. We identify most with people like us. It doesn’t mean kids can only be taught by teachers of their own race. That’s silly. But it’s just as ridiculous to pretend like this doesn’t matter at all. Fact: Roughly 48% of our nation’s public school children are children of color. Fact: Only 18% of our nation’s teachers are persons of color. We’re missing a tremendous opportunity! I am a white teacher with classes made up mostly of African Americans. The suburban Western Pennsylvania district where I teach has a smattering of Hispanics, Asians and other nationalities, but most of the students are white, black or multiracial. I love all of my kids and try to relate to them. But I’d be fooling myself if I thought my culture and complexion didn’t sometimes stand between us. When I walk down the halls of my school, I see the African American principal fist bumping kids and talking to them in ways I never could. It doesn’t mean he’s a better educator then I am. It just means he’s different. When I give a fist bump, it’s funny. We he does, it’s authentic. It’s not that I haven’t tried to bridge the divide. Kids understand and appreciate the effort. But there is a divide. For example, I saw him collar a black student the other day and ask about the child’s misbehavior in class. “What’s up with Mrs. Johnson’s class?” he asked. And the student looked down at the ground embarrassed that he had let the principal down. He’d let down a strong black man in a bow tie and ascot cap, someone from his own community, someone who might look like his dad, grandpap or uncle. They have a relationship, a connection that – as a white teacher – I’ll never have. Sometimes black kids want to impress me, too, but as you’d impress an outsider, as you’d make inroads into a world outside your comfort zone. In fact, it makes me feel good. They have the option to seek role models both within and without their usual frame of reference. Black children in our district have a role model in our principal. These kids see him as a possibility. Yes, black people can be authority figures. Yes, our school is the kind of place that includes African Americans in the way it functions. And, yes, blackness is a part of the school community and not something apart from it. Moreover, I can serve as a positive example of a white authority figure. In the very act of trying to understand my students and attempting to be a fair educator, I’m demonstrating one way in which different people can relate with each other. And I offer them a safe opportunity to relate to someone with a host of different experiences and backgrounds. That’s the benefit of having racially diverse teachers in any school. It isn’t just good for the black kids. It’s good for all of them – even the white children. One of the biggest obstacles to racial harmony is segregation. So often we don’t know each other personally. All we know is second hand. Many white people get their knowledge about black folks from the police blotter, rap lyrics, and racially tinged anecdotes. If that’s all white folks know about black people, it’s no wonder our conceptions of them can be skewed. Even the brief personal interactions we have can become somehow emblematic of our prejudices – THAT black person was loudly singing on the subway so all black people must be annoying. THAT black person hit me with her shopping cart, therefore all black people are absentminded or mean. But if we get to know all kinds of different people as children in school, we become less prone to this kind of prejudice. We get to see people for who they really are instead of as mere representatives of their entire race. So for students – of any race – to experience black teachers and administrators has tremendous benefits for everyone. There are roadblocks at every step of the way. In my district, even with our new black principal, people of color make up less than 10% of the staff. There are no other black teachers in the middle school, two black teachers in the high school and maybe as many in our two elementary schools. Yet about half of our students are African American. People of color often don’t go into teaching. In fact, there is a nationwide teacher shortage irrespective of race. Constant attacks by lawmakers and media pundits and reductions in benefits and pay have made the profession increasingly unattractive to college students looking for a career. This is even more so for people of color. Why would individuals from a group that is already marginalized and scapegoated want a job where they can be doubly marginalized and scapegoated? Even when racially diverse people become teachers, they face more obstacles than the rest of us. The same expectations and prejudices outside the school walls are present in the faculty room, conference center, office and classrooms. 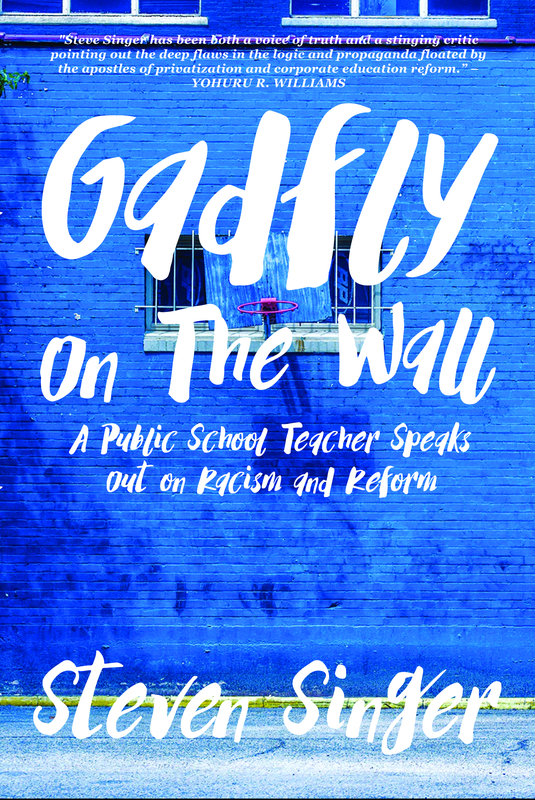 I’ve seen it, myself, multiple times: black teachers getting the worst schedules with the most difficult children and the least time to prepare; black teachers being questioned more frequently about their use of technology, pedagogy and rationale; black teachers snickered about behind closed doors because they aren’t perfect and white staff unwilling to give them the benefit of the doubt. I don’t think the white folks I’ve observed doing these things are purposefully trying to be racist. But the results are the same. Schools can be as unwelcoming a place for black staff as they can be for black students. That’s why it’s imperative that we take steps to change. If we want to improve public schools for all our students – including our students of color – we need to encourage more adults of color to take charge. We need to have incentives at the college level to increase the number of black and brown education majors. (And white ones, too, for that matter.) When positions open up, school directors and administrators need to prioritize filling them with people of color whenever possible. Administrators need to be more cognizant of treating black educators fairly, not assuming they’re only suited to the lowest academic tracks, etc. And white staff needs to be more understanding, less hyper critical of everything black teachers do. There are a lot of white educators out there who really care about their minority students and colleagues. I’m one of them. But I know there’s more we can do. We can demand more cultural competence training. If I were asked to teach a class full of Syrian refugees, I’d want extra training. If one of my co-workers only spoke sign language, I’d want help to communicate with her. White teachers need to admit that we could use that, too, when teaching children of color. That’s one of the drawbacks of having so few black colleagues. Where do we turn for help in understanding our African American students? Who is there to point out potential hazards and help us better meet our minority students’ needs? But the biggest challenge will be the first one – admitting that we have a problem in the first place. Admitting that when we look around at all the white faces at the staff meeting and the faculty room, there is something missing. Admitting that our black and brown students deserve to have teachers who look like them whom they can turn to from time-to-time. Admitting the absence of our black brothers and sisters – and welcoming them to join us. Yes. More teachers of color, definitely. And more teachers, period. Too many are leaving the field because of the Common Core/testing/testing/testing initiatives. I’m not so sure I would go into teaching today, much as I loved it, and loved my students. Teachers need to be allowed to teach. Wow thank you so much for writing this! Loved it! I can really relate! I.knew I.felt unwelcomed during student teaching but now I really know I wasn’t imagining it.